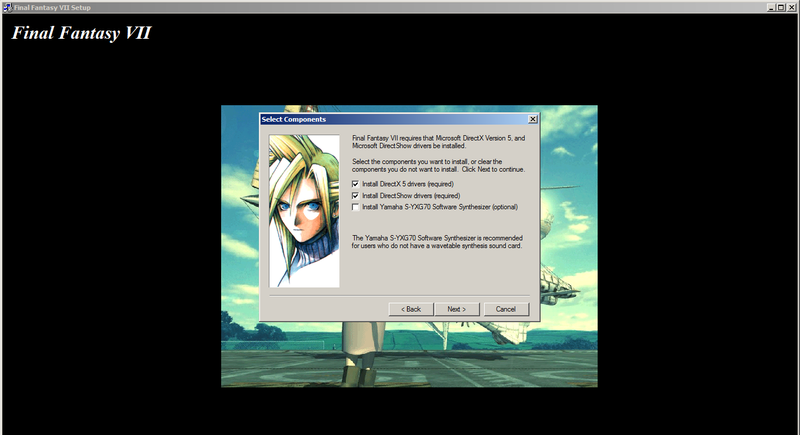 Thats right, you heard it, a full FF7Inst.exe remake! Now released! This is a completely new, non InstallShield based installer, yet remains 1:1 identical to the original installer. Windows 10 users are able to *finnaly* install ff7 on their computers without having to downgrade to Windows 7 or 8! And best of all, mod support can be included, however I need your opinions on this part. - Built in updater to easily update your game to 1.02 while installing, no hastle later trying to find files! - Built in patcher to automatically Chocobo-Crash fix your game without the need for external patchers. Update News! Massive update, 1.5.0 uses Installer Coordinator II and supports configs and install movies to hard drive automatically! IMPORTANT: Please open FF7Config AFTER installing and SET THE AUDIO DRIVER to something, the game will not start if the box is blank! Support questions that have missed this critical step will be ignored! If your Program Files directory is on D:\ or E:\ it WILL autodetect it, no need to change any settings. Keep both DLLs and Data ZIPs in the same folder as the installer .exe it is required! Please do not remove discs from the CD tray unless instructed on the screen to do so. +More error handling via Installer Coordinator engine. Version 1.4.0 - The biggest coordinated release yet! *Major Change: Installer now uses my new Installer Coordinator (IC) install engine! Version 1.3.0 - The stable one! Version 1.2.0 - The professional one! +Adds shortcuts to the Start menu! 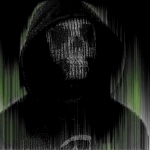 Version 1.1.0 - The amateur one! *Changing path now works however you do so at your own risk and some mods and other installers don't like altered paths! Support - Questions: Moved to a next post, scroll down a bit! All mods that work on 1998 version will work on this as the install is practically identical. This is compatible with Aali's Mod however the driver must be installed AFTER you install the game using Tom's Installer and you MUST have update game to 1.02 selected on the components screen (Its selected by default). If you changed the install path during setup the Installer for New Threat will have to be pointed to that path. 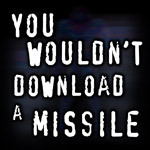 This also applies to any other mods with GUI installers. If you selected to install the chocobo races patch (Its selected by default), do not run the chocobo patcher as it is already installed. If you selected to update your game to 1.02 don't use any other tools or methods to re update your game as they might break something. I would like to hear any feedback about it, features you would want added or how your mod can work with this if you are a mod creator. 0. Q: When it starts it asks me for a folder! 0. A: Point it to the CD Drive you have your Final Fantasy VII Install Disc (Not Game Discs 1-3). 1. Q: Will this work on my computer? 2. Q: Do I have to download the .NET Framework to use this? 2. A: If you have Windows 8, 8.1 or 10 you do not have to do anything. 3. Q: If I have already installed the game can I use this? 4. Q: Error: You selected a source however that path does not contain game data! 5. 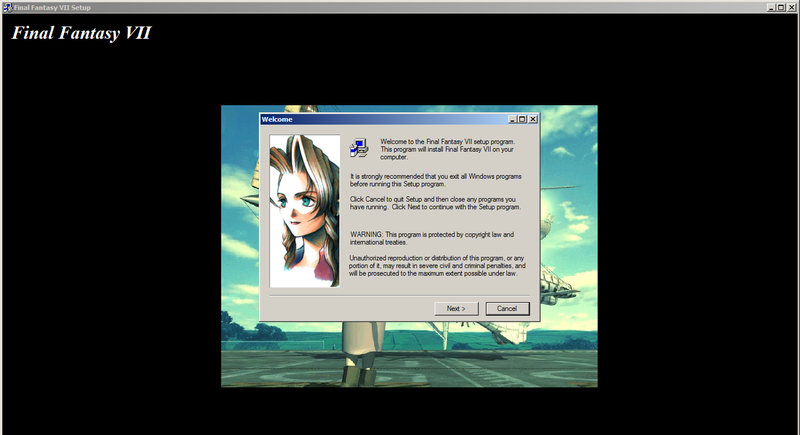 Q: Error: You did not select the path to your Final Fantasy VII Install Disc! 5. A: You did not select a path and clicked cancel on the dialog, try again. 6. A: Check if you have write permissions to the folder you are installing FF7 to. 8. A: The Yamaha installer might not work because it also needs a remake, which is a work in progress. Yamaha SoftSynth does not work *at all* on 64 bit systems. 9. Q: Do I need to uncheck or check "Install DirectX" and "Install DirectShow"
9. A: Your computer already has DirectX and DirectShow, so these options won't make a difference. 10. Q: If I just spam the "Next" button the whole way through the installer will it install everything ready to be modded? 10. A: Yes, all the correct settings to be compatible with mods are selected by default and you should only change them if you know what the options do and what they mean. 11. Q: What does the word "path" mean? 11. A: A path is a location of a folder, a hard drive or a CD-ROM drive on your computer. 12. Q: Why do there seem to be less files in the FF7 Folder? 12. A: Some files that the original installer used don't get installed or get replaced by others this installer uses since the installers have different architectures. 13. Q: How do I manually uninstall the game? 13. A: Delete %ProgramFiles(x86)%\Square Soft, Inc, delete in registry local machine\ software\Square Soft, Inc, delete the start menu folder and that's it. 14. Q: On the screen with Sephiroth Fire background I get an error! I'm lost, is this actually released as I can't see a download it anywhere? Could you do the one for FF8 also? InstallShield doesn't even start on windows 10. Yes, this is why I asked Tom to start this thread in Scripting and Reverse Engineering. I'll move it to Tools once there's a release at a usable state. edit: and there it goes! new error when it is just about to start installing after you click ok to the start menu program folder. Its an installer, you always run installers as admin. How did the install go? What Operating System are you on? Its an installer, you always run installers as admin. How does it install the game? What Operating System are you on? As a rule of thumb, any software that needs admin should be requesting it on its own. It is not good practice to require the user to run as admin manually. Automatically asks for administrator now! No. There was a bug in the game that caused the chocobo races to crash on XP or later, and a patch released by Qhimm back when he was active that fixed this bug. Very small tweak. You didn't need it if you used Aali's driver, because it has the same fix built in. The dreaded "XP Patch" You're referring to is probably AnimeVamp's 1.4 patch, which causes all sorts of problems both with the game and with the OS, and should be avoided at all costs. What the games converter does is that it replaces all non-english files with the english ones. 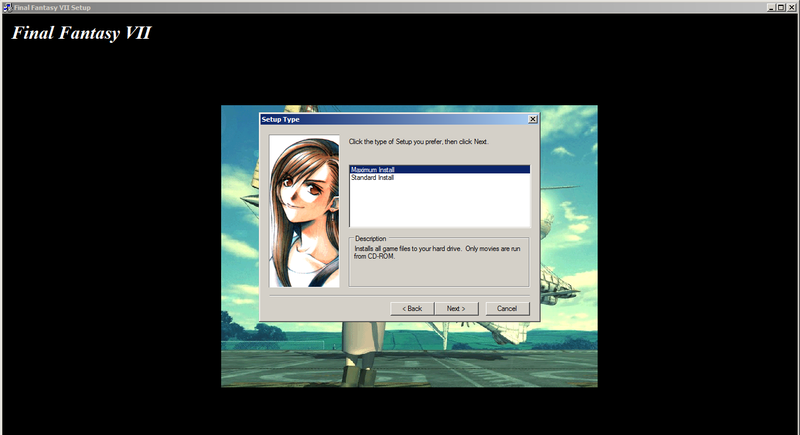 It also installs DLPB's Tools (I think it doesn't use the latest 2.0 build) so it can use hext texts to translate the english ff7.exe to the desired language. The idea behind this is to unify all different language versions to one universal files system, this allows all mods for the english game to also work with the French,German and Spain installment. For the steam version does the GC also add needed registry entries. If you could implement something similar as that it, would be an absolute great addition. How does it replace German files with English ones if you only have the German ones to start with? I can PM you the .bat code to get a better look at what it does. I just downloaded the installer and tried it on my FF7 ISO. Windows 10 Home, Single Language, 64-bit edition. Right after I click the OK and the background changes to Nibelheim Sephiroth, an unhandled exception pops out. Also, its interesting how I can only change the install path to something inside Program Files. No selection of other partitions or anything. I'd appreciate this option. Oh, and this bug was with the latest edition (1.3.4). But I'm appreciating the idea of the program. I'm waiting for a similar one for FF8, as I never got FF8 to run on Windows 10, period. I need a bit more to know what caused this, did you change the install path and even if you encountered the error did the game actually install? (Did you try and change it but hit cancel?) Did you select any of the extras like Yamaha SoftSynth, DirectX, DirectShow, 1.02 update or Chocobo Patch? I tried changing the install path, and then tried keeping it. I also ticked off some extras, mainly the old things (Yamaha, DX, DirectShow). When I get to the part with the error, and continue, the installer says all is okay, restart is needed, but turns out nothing was ever moved besides a few directories and only a file or two. I'll reproduce this today and get a more detailed description. Try it once without ever touching the path settings and leave all options that are checked by default, do maximum install and as a install disc use your ff7 install disc, if you have an ISO you must mount the ISO as it will not read anything directly from the ISO, even if you extract it. It will only work from a disc drive (physical and virtual are both supported but it must be a drive). Use a program like MagicDisc (free) to mount the ISO if you don't have CD-ROM drive or can't use it. In the first insert-disc dialogue select the root of your CD-ROM drive, like just select the drive and nothing inside, and again it wont work from a folder only from a drive.